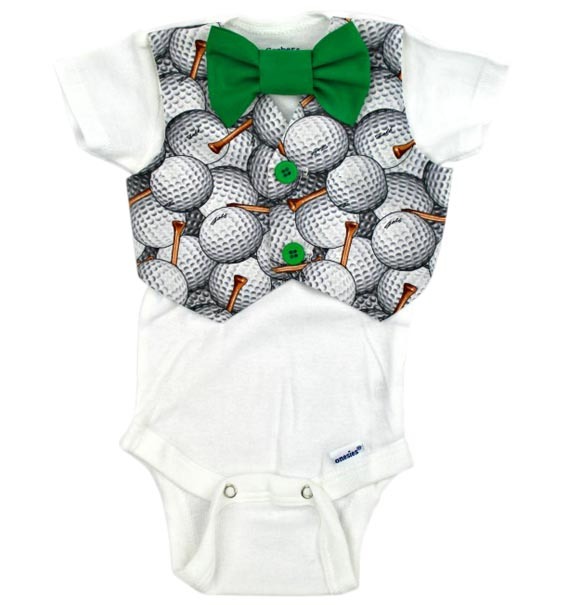 All “New to the Tour” baby boys will be the hit of the club house when they make their debut in their handsome golf ball vest and green bow tie outfit. 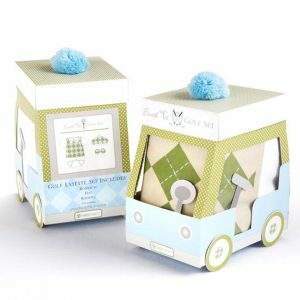 A easy care 100% cotton onesie combines with a golf ball & tee fabric vest and green bow tie sewn on to it, for a “hole in one” golf gift set. This oh so formal yet, oh so comfy, outfit is sure to please any golf lover. 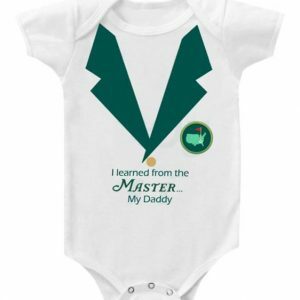 The perfect shower gift for the golfing Mom and Dad’s new little pro. 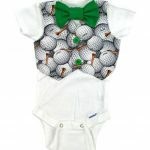 Get this baby boy golf vest and bow tie outfit for your favorite little golfer…it is sure to be a “hole in one”!! 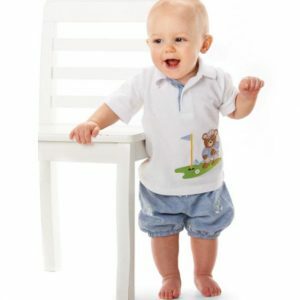 Categories: Baby Boy Golf Gifts, Best Selling Baby Golf Gifts.